Filtering the data we have on our GridView by dates are sometimes very important. On this article I am going to show you how easy is to add a date range filter to your Yii2 GridViews. In case you are wondering why I am using ./composer command instead of php composer.phar is because I have composer installed globally. That's all we have to do to be able to search by a range in our UserSearch class. Now, the next step is to configure the GridView column to add our date range picker. 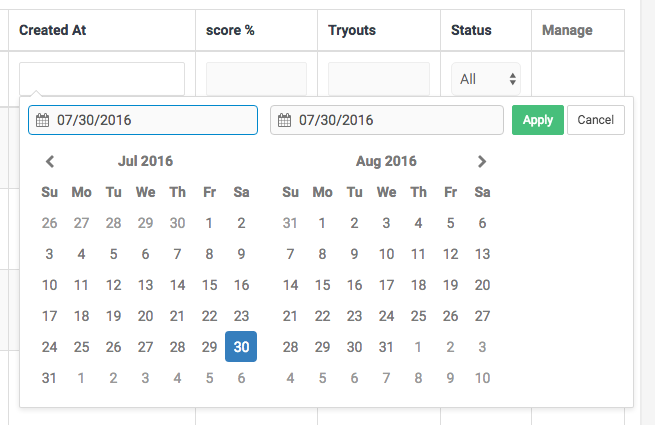 Done, with three simple steps we have now a beautiful date range picker filtering our data by a range. 2amigos Consulting Group can help you build your next Yii2 framework project. Have a need or an idea? Get in touch and let’s talk.